Catch Kevin Gates live on the Luca Brasi 3 tour beginning 10/2/18. View the tour dates below! 10/24 – Columbus, OH – Express Live! 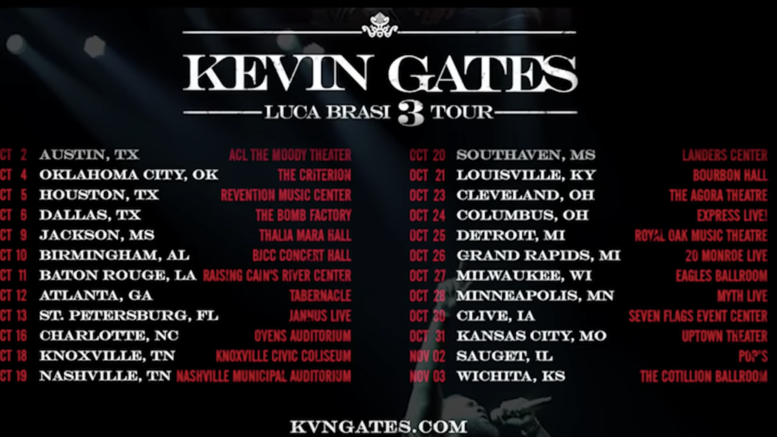 Be the first to comment on "Kevin Gates “Luca Brasi 3 Tour” Starts 10/2/18"